Technique – The rim the throat of a vase: 875 silver standard. 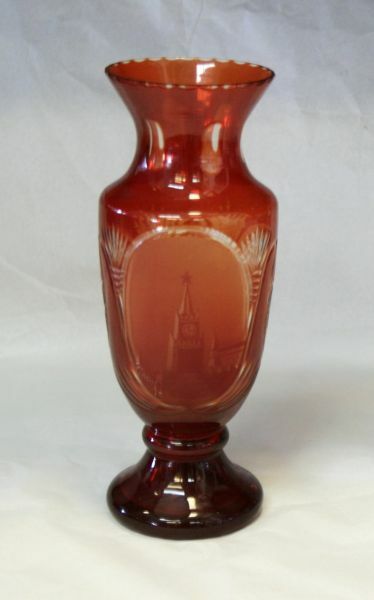 Vase with the Kremlin's image. Technique – Multiple-layered glass (with flashed glass), etching. 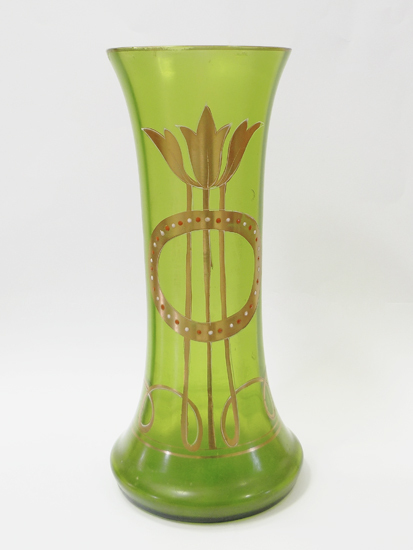 Vase made of green glass in the Art Nouveau style. Year – The first half of the 20th century. Size – d- 10. h- 25. 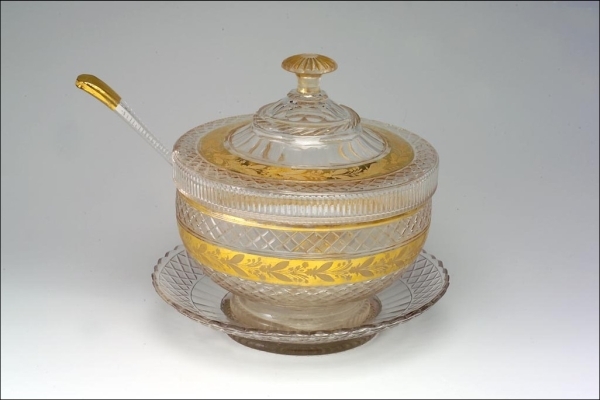 Technique – Glass, gold plated, enamel. 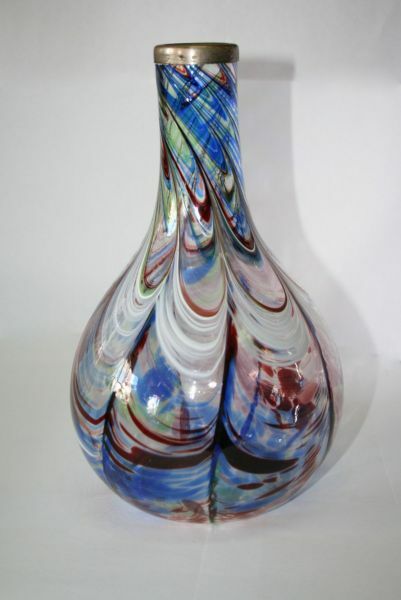 Vase made of Bohemian glass. Size – d- 17,2. h- 18,2. 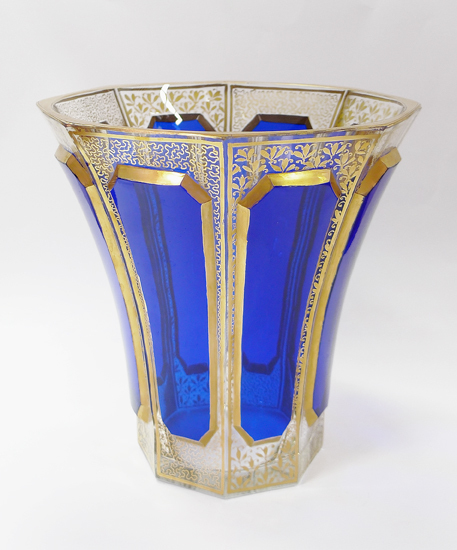 Technique – Clear and colored Bohemian glass, gilding. 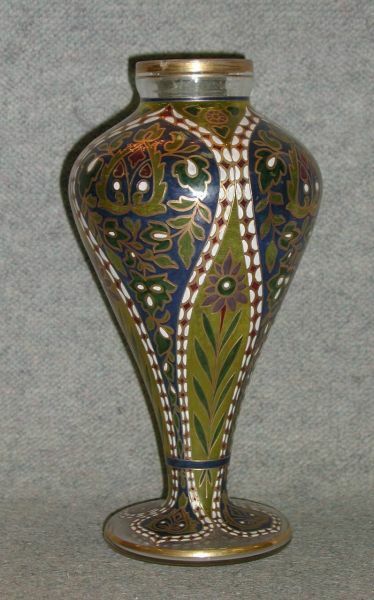 Technique – Glass, floral ornament and enamel. Technique – Crystal. Diverging pattern, gilding.